Real estate broker software is used to streamline broker-specific tasks like agent and transaction management. We compared 12 broker software options and narrowed it down to the six best—including the best overall—based on price, ease of use, and features like team management, accounting, commission tracking, and reporting. Real estate brokers often manage a large number of agents and need comprehensive tools to handle agent workflow, manage and pay commissions, and track transaction pipelines. To meet these needs, we considered platforms with robust tools, including agent and transaction management, agent-specific and brokerage-wide reporting, accounting, and excellent customer service. Price: Broker software varies in price depending on the scope of features, but generally costs $79 and up depending on the size of your brokerage. We compared the monthly cost of all 12 options we considered to determine which ones offer the best value. 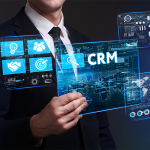 CRM: Brokers need a reliable CRM for organizing and tracking leads. That’s why we favored platforms that either have a built-in CRM or seamlessly integrate with third-party CRMs. Team management and workflow: We evaluated each option’s tools for monitoring agent performance, assigning leads, and scheduling showings, team meetings, and office floor time. Transaction management: Real estate broker software is a great way to track your agents’ transactions by using checklists and reminders, automatically assigning tasks, and managing documents. The inclusions on our list have some or all of these features. Commissions and payments: We compared the ability of real estate broker software to automatically calculate agent commissions, charge agents for monthly office fees, and complete automated clearing house transfers within the platform. Bookkeeping: Many real estate broker software options include the ability to integrate with third-party bookkeeping software like QuickBooks, while others feature built-in accounting tools. We considered both options. Integrations: Third-party integrations allow brokers to connect existing tools to new software so they can complete all necessary tasks from one place. This was a primary consideration in our ranking. Reporting and analytics: Real estate broker software can be a great way to analyze agent and office sales performance, including commissions, lead nurturing, and lead conversion. The inclusions on this list offer some form of reporting for brokers. Ease of use: We reviewed user reviews and online demos to determine which software interfaces are the most user-friendly. Customer support: Setting up and using comprehensive real estate broker software often requires assistance, so we favored tools with effective customer support and user resources. Based on the above criteria, we chose Brokermint as the best real estate broker software. It offers brokers robust management software that has the ability to integrate with the MLS, various CRMs, and accounting software. Additionally, it’s relatively easy to use and offers helpful customer service. Brokermint is a web-based real estate brokerage management tool that offers transaction and team management, commission tracking, and MLS integration for between $79 and $179 per month. Try Brokermint if you want a transaction and agent management platform that integrates with a CRM, accounting software, and other brokerage tools for a competitive price. Brokermint offers three pricing tiers with various features; each includes five users, though additional users can be added. Brokermint doesn’t offer pricing information on their website but, according to a third-party site, the entry-level Simple Start plan costs $79 per month; Standard has some advanced features and costs $129 per month; Enterprise is available for $179 per month. Simple Start is Brokermint’s entry-level broker software and, according to a third-party website, costs $79 per month for five users. The package includes basic brokerage management tools like the ability to setup checklists and reminders, auto-assign transaction-related tasks, and approve and e-sign closing documents. Brokers can also automate commissions and disbursement forms, and generate agent sales reports. The package is a great option for teams that want basic front-office brokerage tools at a modest price point. Advanced features like QuickBooks integration, a customized dashboard, and CRM integration are available from Brokermint’s other packages. However, this package doesn’t include many of the back-office functionality available from other platforms like Market Leader, such as MLS integration, bookkeeping, and team reporting. The Standard package offers users a comprehensive suite of brokerage management tools for $129 per month for five users. In addition to the features included with Simple Start, Standard lets brokers generate team reports, share agent stats, and post company news within the user dashboard. This package also includes integration of one QuickBooks account and one MLS account. Additional connections are available for $49 each per month. Choose the Standard package if you have a medium-sized team and want the ability to integrate with QuickBooks for your accounting needs and the MLS for easy listing management. This is also a good option if you’re focused on improving team management. Enterprise includes Brokermint’s most advanced features for $179 per month for five users. The Enterprise package includes everything in the Standard option, plus agent onboarding tools, white label customization to match your brand, dashboards for multiple office locations, and the ability to build custom integrations using application program interfaces (APIs). This package also lets brokers connect to one CRM; additional CRM connections are $49 per connection, per month. Upgrade to the Enterprise plan if you have a large brokerage with multiple office locations and need help with agent onboarding for growing teams. Enterprise is also an excellent option if you have an existing CRM that you want to integrate with the platform rather than using something like Market Leader, which has the CRM built-in. Brokermint’s entry-level package, Simple Start, includes basic real estate broker software tools like transaction management. However, it lacks features like MLS integration, commission reporting, and QuickBooks integration that come standard with other options we considered, like BrokerSumo. 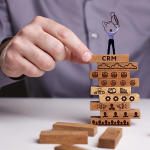 What’s more, brokers must pay for the Enterprise package in order to integrate their existing CRM with the software or set up multiple office locations. In general, Brokermint has excellent reviews. Users love how easy it is to enter transactions, and find the agent management tools to be extremely helpful in day-to-day brokerage operations. However, some users report that running and viewing reports can be slightly cumbersome. For more details about what users think about the software, check out our Brokermint reviews page. Brokermint is the best option for brokers who already have a CRM, use QuickBooks, or rely on their local MLS. The platform makes it easy to build a custom brokerage management suite using the tools that are already a part of your operations. If you’re ready to check out Brokermint, request a free demo today. Emphasys is a customizable real estate platform with front- and back-office tools that can be added or removed to meet their needs. These include commission management tools, showing management tools, and two accounting software options. This makes it ideal for growing brokerages that want to build broker management tools as their needs evolve. Emphasys offers tailored pricing based on customizable packages. This includes bundled services for front- and back-office needs as well as individual services that can be added for an additional cost. For that reason, pricing isn’t available on the Emphasys website, but a third-party website reports the software costs about $50 per user. Commission management tools: This suite of tools is available as part of the Starter, Professional, and Enterprise package and includes checklists, tasks, and compliance review tools. Showing management tools: The Emphasys suite of tools for showing management is only available in the Starter and Professional packages. Tools include online appointment booking, a company intranet, and showing feedback. QuickBooks integration: QuickBooks’ accounting integration is available as part of the Starter and Professional packages, but not Enterprise. The Enterprise package includes built-in accounting tools. Built-in accounting tools: As part of the Enterprise package, Emphasys users have access to built-in accounting tools for tracking brokerage finances. QuickBooks integration is not included with this version of the software. Starter lets brokers choose between the platform’s commission management tools and showing management tools. The commission management tools include checklists, tasks, compliance review, and automated notifications; these allow you to track agent commissions based on factors like gross sales amounts and agent portions. The showing management tools, on the other hand, include online appointment booking, a company intranet, and showing feedback. Brokers interested in either improving their home showings or better managing commissions—but not both—would be wise to choose this plan. Referral management, QuickBooks syncing, recruiting, and reports offer additional functionality to help track leads and bring on new talent, all of which serve front-office staff. Unlike Starter, Professional gives brokers access to both commissions and showing management tools. In addition to the features included in Starter, brokerages using the Professional package can integrate the software with the local MLS or TMS. The package is also set up for multiple office locations. Because the Professional package is set up for multiple offices, this is one of the best options—along with Brokermint—for brokers who have multiple bases of operation. If you have multiple office locations, want showing management tools, and are currently using QuickBooks, choose Professional. Emphasys’ Enterprise package includes commission management tools but does not give brokers access to the platform’s showing management features. Rather than integrating with QuickBooks (like the Starter and Professional packages), Enterprise includes built-in accounting tools, including accounts payable, accounts receivable, and a general ledger. The platform also lets brokers track income and expenses, manage bills, and process credit cards. Choose Emphasys if you want all of your brokerage’s accounting features in one place rather than having to integrate with multiple bookkeeping and tax systems. It’s also a good choice for brokerages with multiple offices and agents that want to handle all of their agent commissions and fees in-house. In contrast to other platforms we evaluated, Emphasys does not include an integrated CRM and does not have the ability for agents to access a user dashboard. This means that you’ll have to have a separate platform for lead generation, organization, and lead nurturing. Emphasys boasts excellent user reviews, largely because of its user-friendly interface, automated features, and QuickBooks integration. In spite of the platform’s strengths, some users dislike that there isn’t a way for a broker’s agents to access the dashboard. For more information on user reviews, check out our Emphasys user reviews page. Try Emphasys if you want to build a custom management platform for your brokerage. The platform’s commission management tools, showing management tools, and accounting software are excellent additions to teams that need custom broker software. Try the free demo of Emphasys to find out which package is the right fit for your team. BrokerSumo is a broker software solution with affordable, straight-forward pricing and robust agent and transaction management tools like checklists and document storage. The platform charges $1.50 per additional agent, per month, making it cost-effective for small brokerages on a budget. However, bookkeeping and reporting tools are available at an additional cost. BrokerSumo offers two pricing plans. Simple Pricing costs $99 per month plus $1.50 per additional agent, per month. By contrast, the Enterprise plan is for brokerages with more than 500 agents and costs an additional $50 per month and $0.50 per agent. Brokers can add QuickBooks integration for $25 per month and Zoho Reports for $20 per month. BrokerSumo is all-in-one broker software that lets you manage transactions, create commission disbursements, and track agent and team performance. BrokerSumo also gives brokers the tools to onboard new agents and manage agent performance. Finally, brokers have the option to add integrations for Zoho Reports and QuickBooks. BrokerSumo is a great tool for small and growing brokerages because of the platform’s agent onboarding platform and the ability to add in-depth agent information. What’s more, brokers can track agent performance, agents can view and edit their own pipelines, and brokers can modify user permissions to control how agents interact with the user dashboard. BrokerSumo lets brokers manage their teams’ transaction pipelines and automatically calculates agent commissions based on agent-specific commission plans. The platform also includes custom closing checklists, unlimited document storage, and account management for every stage of your transactions. BrokerSumo lets brokers create agent-specific commission and fee plans and collects general office fees directly from agents. For brokerages with over $300 in monthly transactions, the platform charges 2.9% plus $0.30 for every credit card transaction; brokerages are charged a minimum of $4.99 per month. For an additional $25 per month, BrokerSumo syncs with QuickBooks so you don’t have to use multiple types of software to manage your brokerage back office. In addition, brokers can prepare 1099s for an additional fee using a partner site, tax1099.com, which makes it easy to keep all accounting information in one place. Brokers can use the platform to sync transaction data in BrokerSumo with Zoho Reports. Then, whenever you update a transaction in BrokerSumo, the information will be automatically synced with Zoho Reports. This integration lets you create custom reports and add them to your BrokerSumo user dashboard for use by your team. Users also have access to Zoho Report’s online tutorials. Like many of the other real estate broker software we reviewed, BrokerSumo does not include a built-in CRM. However, BrokerSumo is part of the Inside Real Estate family of real estate software, so you’ll have plenty of support—especially if you choose one of their CRMs, like Kunversion+. BrokerSumo users report that the software streamlines closings, agent commissions, billing, and invoices. Even so, some brokers find that the software is expensive and takes some time to learn. Check out our BrokerSumo reviews page for more information on what users think about the software. BrokerSumo is an excellent option if you want comprehensive software that can handle the needs of a small or growing real estate brokerage at a very low cost. The low upfront and per-agent price, combined with the availability of add-on features, make it a great value and a flexible option for teams that don’t yet know what advanced tools they need. Sign up for a free 14-day trial to find out how BrokerSumo can work for your team. BackAgent is a virtual brokerage platform that lets brokers create a completely paperless office environment. The software features an office intranet for communicating between agents, paperless transaction management, and a variety of marketing and lead generation tools. This makes it an excellent option for brokerages that want to expand their business while streamlining collaboration and transactions. BackAgent offers standalone intranet services for $1.50 per agent, per month and transaction management services for $3 per agent, per month. There’s a $100 per month minimum charge plus additional setup and training fees based on the size of your team. Brokers can also add hosted email accounts, IDX-enabled websites, and fax lines for additional monthly fees. Like other options we evaluated, BackAgent provides tools like transaction management, calendar management, and office task management. However, BackAgent really shines when it comes to paperless features like scheduling for managing agents on duty, paperless document filing, closing management, and marketing. Brokers can also add back-office tools like email, fax, and IDX-enabled websites to keep all of their services in one place. The team management component of BackAgent lets brokers manage their teams using an office intranet that includes office calendar management and event creation, office resource scheduling, and task management. It also lets agents, brokers, and other team members communicate without leaving the management dashboard. Brokers and agents can also create marketing materials, manage preferred vendors, and purchase and manage mailing lists. Brokers who use BackAgent’s transaction management features can create custom, transaction-specific workflows, generate checklists, and add transaction dates to office calendars. The platform also features automatic closing document generation and creates transaction reports for your team and agents—all online. BackAgent is also integrated with zipForm® Plus, which lets agents complete forms without leaving the BackAgent platform. Each of BackAgent’s purchasing options gives users the ability to create marketing materials, order and receive printed marketing materials, and generate mailing lists. Brokers can also organize their preferred vendors and products within the platform so it’s easier to order marketing materials. In addition to an intranet and transaction management tools, BackAgent offers brokerages a la carte upgrades for email hosting, fax lines, and websites. Fax lines can be purchased for individual associates or for offices, and hosted email accounts can be purchased individually for your domain. Brokers also have the option of purchasing individual agent websites or office websites that can be customized based on a standard template. Unlike the other platforms we considered, BackAgent does not offer a commission management tool or accounting services. Instead, brokers must use other services to handle agent payments, taxes, and the financial side of their real estate transactions. Brokers who use BackAgent find the software makes communicating with their agents easier and streamlines operations. However, some users dislike the platform because it has an outdated interface and can be slower than other options. Visit our BackAgent user reviews page for more details about what users think about the platform. BackAgent offers robust tools for building a virtual office, such as an office intranet as well as paperless document and transaction management features. Brokers can also add features like IDX-enabled websites, email, and fax capabilities to make an office completely paperless. Click here for a free demo of BackAgent to find out if it’s a good option for your team. TotalBrokerage is an all-in-one real estate broker software, starting at $99 per month, that lets brokers handle lead management and nurturing, marketing, transaction management, and bookkeeping in one place. Because of these integrated tools, the software is best for large teams that want to streamline all of their office processes with a turnkey brokerage management solution. TotalBrokerage’s pricing is based on the number of agents in your brokerage. Pricing starts at $99 per month for four agents and increases by approximately $100 for every five additional agents. For example, the software is $219 per month for 10 agents and $419 per month for 20 agents. Custom pricing is available for brokerages with more than 250 agents. The features available through TotalBrokerage are the same—regardless of the size of your agency—and include advanced tools for transaction management, accounting, and reporting. TotalBrokerage also offers users a CRM and marketing tools, making it a great option for large teams that want to keep all of their front- and back-office tools in one place. TotalBrokerage can be used to generate a variety of reports, including lead conversion rates, agent performance, and financial projections. Brokers have the ability to use the platform’s templates or create custom reports to meet the unique needs of their agents. Users can also perform statistical evaluations and make financial projections. The TotalBrokerage platform offers agents and brokers a robust transaction management platform that lets brokers create, edit, and store all of the forms and documents necessary to complete client transactions. Furthermore, the software includes built-in file storage, electronic signature capabilities, and a form library with industry, state, and local real estate forms—plus custom forms. Brokers can use TotalBrokerage to establish agent and team-specific commission splits. The software then helps brokers and agents track individual expenses, calculate profits, and file tax documents. The platform’s auditing tools allow you to protect all of your data and let you view archived data. TotalBrokerage is fully integrated with QuickBooks, so you and your agents don’t have to manually re-enter transaction information. Like BackAgent, the platform also tracks your agents and trusted vendors so you can pre-populate them into documents, e-sign contracts, and more. These tools simplify and streamline agency accounting, making TotalBrokerage an excellent option for brokerages with a large number of agents. TotalBrokerage’s CRM helps brokers and agents generate and organize leads from a variety of sources. The platform then lets brokers track all client communications so you know if and when your agents are following up with leads. In addition, the CRM is linked to the software’s marketing tools, so it’s easy to send thousands of emails a day without leaving the platform. TotalBrokerage has a built-in accounting platform but does not have the ability to issue agent commissions directly through the platform or collect monthly agent fees. However, the QuickBooks integration makes it easy to track agent expenses and import them directly into the platform. There aren’t many reviews for TotalBrokerage available online, and we were not able to find any negative reviews. What’s more, the platform is in use by over 50,000 agents, including the Miami Association of Realtors. TotalBrokerage offers a broad range of brokerage management tools in one streamlined platform. If you have a large brokerage or want comprehensive broker software, click here to book a demo and find out if TotalBrokerage is a good fit for your team. Market Leader’s Business Suite is software that offers a variety of brokerage management tools for lead generation, including IDX-enabled websites and a robust CRM. The platform also includes marketing tools, agent management, and performance monitoring. This makes it great for brokers focused on generating and managing new leads for their brokerage. Market Leader does not publish their pricing online. However, their custom packages are suitable for small brokerages of between two and four agents to large, multi-state brokerages. Market Leader’s pricing structure adds to the platform’s flexibility by facilitating split billing among brokers, lenders, and partners. The heart of Market Leader is its lead generation tools and CRM. However, the software also includes marketing tools and performance tracking capabilities that are supported by dedicated account managers. Because of these features, Market Leader is best suited for brokers that want to focus their business on lead generation and need an easy-to-use CRM to track leads. Market Leader makes it easy to assign leads to specific agents, monitor agent progress, and track productivity. The user dashboard lets brokers see when each lead has been contacted and generate periodic productivity reports. The Market Leader CRM integrates leads from a variety of sources, including Zillow, Trulia, and Realtor.com. It then offers brokers advanced analytics to show which platform leads are coming from and how agents are following up with them. The CRM also features a mobile app so you and your agents can track leads in and out of the office. Market Leader lets brokers buy exclusive leads in a specific ZIP code using HouseValues.com, which collects leads by offering site visitors free comparative market analyses (CMA) in exchange for their home address and contact information. Market Lead also offers pay-per-click advertising through Leads Direct. New leads are then automatically updated in your CRM so you can assign them to your agents and monitor conversions. Market Leader helps brokers streamline the lead generation, management, and nurturing process for your agents. However, unlike the other real estate broker software we evaluated, Market Leader does not include back-office management tools for commission tracking, agent payment, or accounting. In general, Market Leader users find that the software is a good source of leads and that the platform offers excellent training programs and valuable software updates. In contrast, some users find that Market Leader’s customer service is less helpful than other platforms. Visit our Market Leader reviews page for a list of reviews from actual Market Leader users. Market Leader’s Business Suite excels at lead generation and management while giving brokers the ability to manage team performance. For that reason, Market Leader is a great choice for brokers who want to focus on gathering new leads rather than streamlining office management. Click here to schedule a free Market Leader demo. Real estate broker software lets brokers simplify front- and back-office processes like agent management and accounting. The best software options are reasonably priced and offer a robust suite of tools and integrations that let brokers handle commissions, accounting, lead assignment, marketing, and more from one platform. We chose Brokermint as the best option overall because of its ability to integrate with CRMs, QuickBooks, and your local MLS. Check out Brokermint if you want to build a custom brokerage management platform through integrations with many of the tools your agents already use. Try a free demo to see if the software is a good fit for your agents.